For many of us, it might seem like a logical step for Square to partner with (or sell to) PayPal at some time in the future. However Square’s Steve DeWald is ready to squash those rumors before they start. In a thread on Quora, DeWald states in no uncertain terms that he (and therefore Square?) sees PayPal as “part of the problem” that his company is trying to fix. As a wise man once said, “them’s fightin’ words”. But before you think that DeWald is the one throwing the first punch, let’s go back to May of 2011 when PayPal’s Director of Global Communications Anuj Nayar had his own thoughts about Square, essentially calling the company superficial in an interview with FastCompany. But PayPal’s clearly feeling the heat of the growth that competitors like Square and others have been experiencing. PayPal’s recent acquisition of Card.io appears to be aimed directly at making payment processing more simple. Card.io had devised a method by which you could take a card payment simply by capturing an image of the card with your mobile phone. Fundamentally incompatible. There’s no room for wiggling in a statement like that my friends. At the end of the day, startups everywhere are trying to fix what they see as being broken. 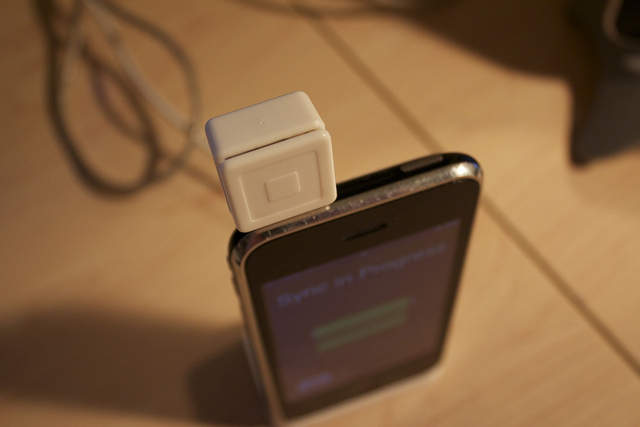 For Square, that pain point comes in how small businesses acquire payments and transfer money. It’s not especially surprising to see the company take this stance in relation to PayPal, but to be so vocal about it is a refreshing change from the overly-PR-laden responses we normally see.